MAGADAN, August 19. /TASS/. 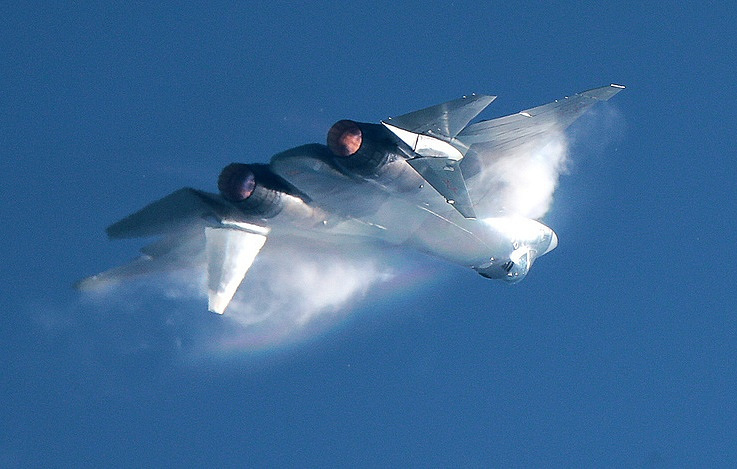 Russia’s United Aircraft Corporation (UAC) and the Russian defense ministry plan to sign a contract for the firth batch of Su-57 fighter jets by the end of this summer, probably at the 2018 Army forum, UAC President Yuri Slyusar said on Sunday. "By the end of the summer, I think probably at the Patriot Park (in Moscow’s region, the venue for the 2018 Army forum on August 21-26 - TASS), we will sign contracts for the first batch with the defense ministry. Regular supplies will start next year," he said in an interview with the Deistvuyushchiye Litsa (Political Actors) program on the Rossiya-1 television channel.